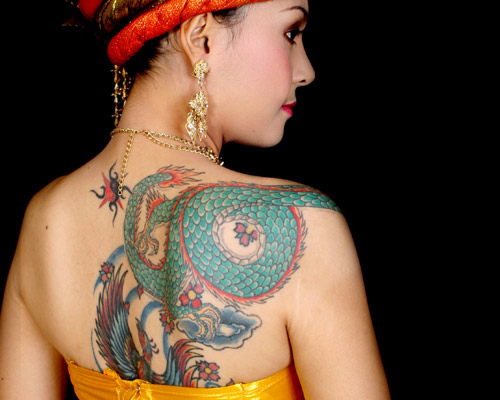 Feather tattoos for girls are great tattoo designs, because even a single feather can look completely different from another depending on the style, location and color of the tattoo. 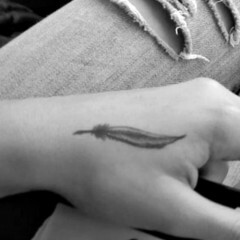 This girl’s feather tattoo is inked on the inside of her left forearm, extending from her elbow about halfway down her arm. 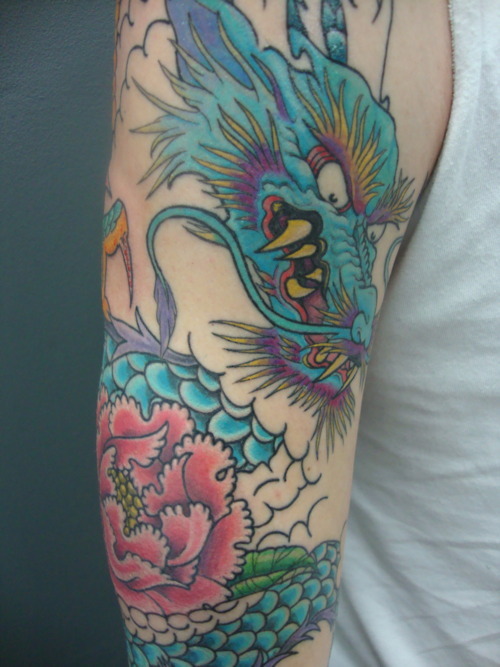 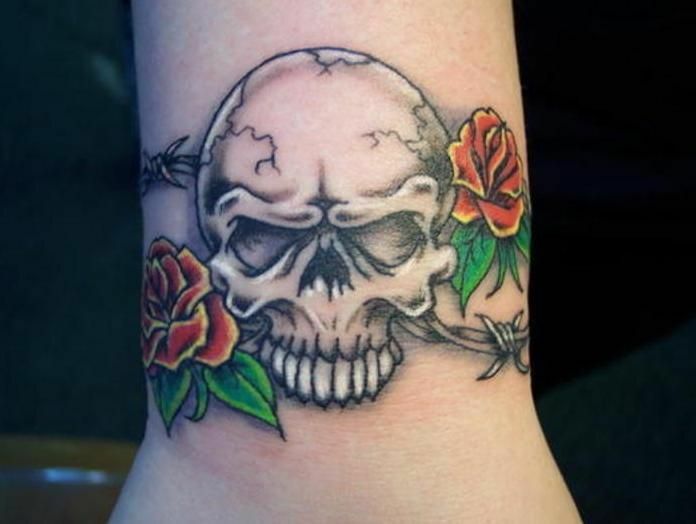 The arm tattoo is inked in black and is relatively large considering its location. 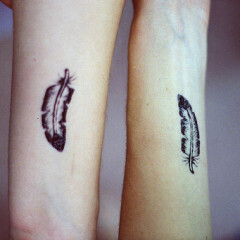 Although the black feather tattoo features a very simple design, the feather tattoo meaning could be rather complex. 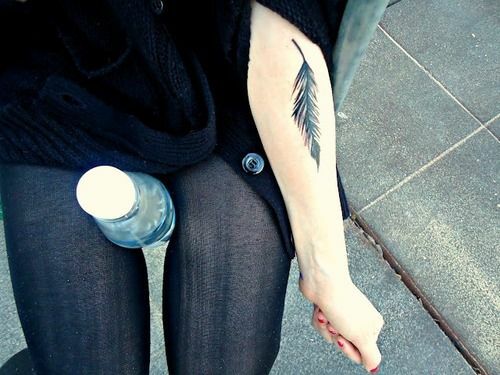 In some cases, a feather arm tattoo has a spiritual meaning, or can represent anything from virtue and innocence to freedom, integrity or strength. 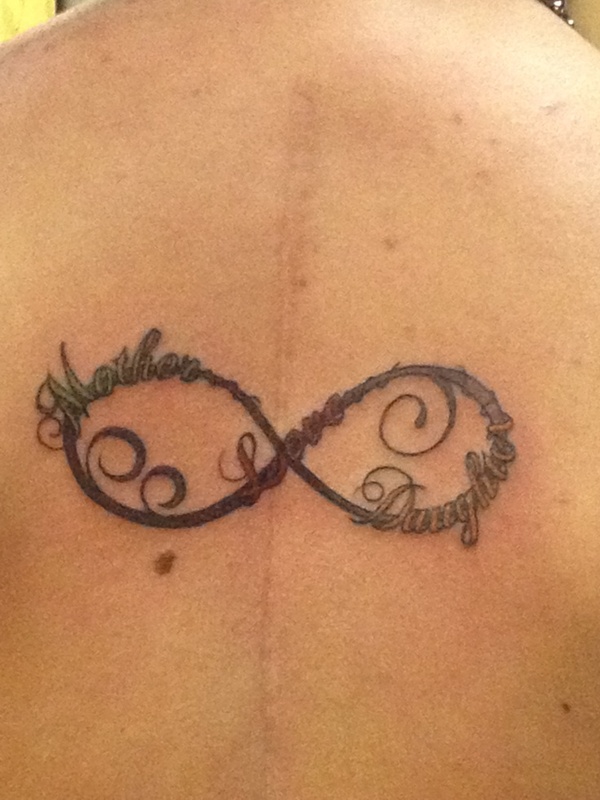 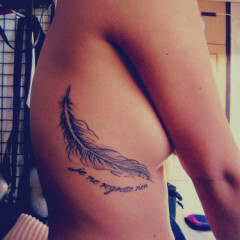 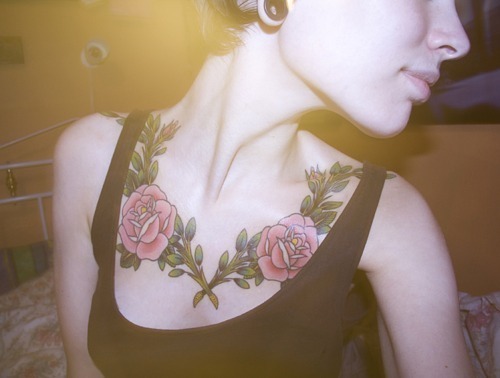 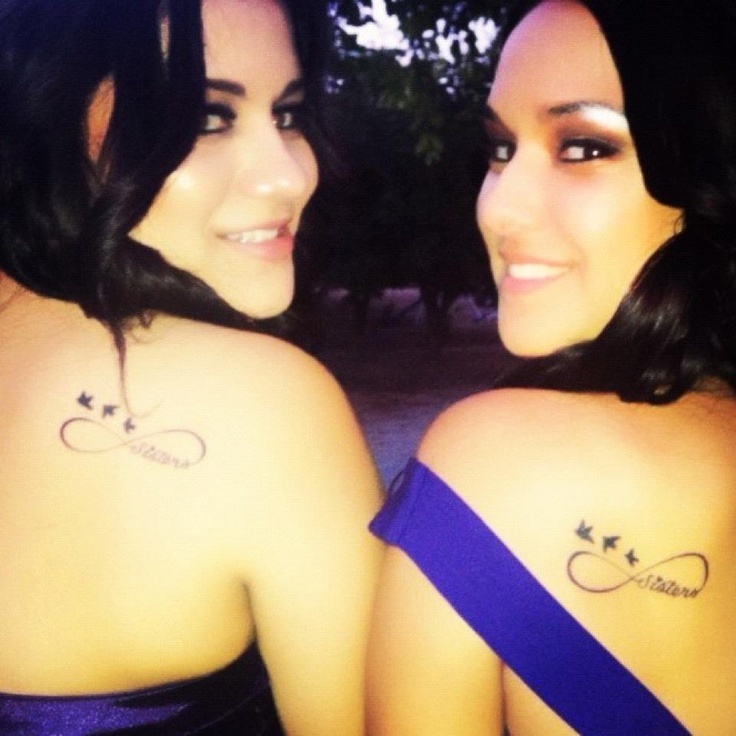 In most cases, feather tattoos for girls symbolize something more feminine, such as beauty or a tribute to a loved one.